Should the U.S. Take Iran’s Human Rights Problem More Seriously? Over the past few years, the UN has gotten more and more serious about tackling Iran’s human rights abuses. But at the same time, under the Obama administration the United States has only grown closer to the Islamic Republic. Why? 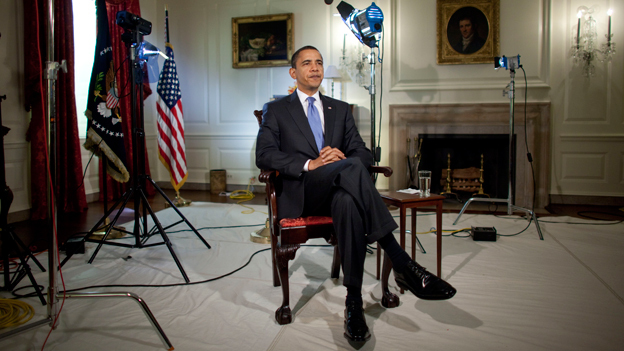 On March 19, in honor of Nowruz, the Persian New Year, President Barack Obama sent greetings to Persians living both inside and outside Iran. Obama was not the first American president to mark Nowruz—this particular tradition was begun by President George H.W. Bush in 1992—but he was the first to refer to Iran with its official prefix, “The Islamic Republic of…,” signaling his willingness to regard the Islamist regime as an enduring political entity, rather than a temporary aberration. In those 2009 greetings, Obama articulated an “Islamic Republic” doctrine that would shape America’s courtship of Iran ever since. “The United States wants the Islamic Republic of Iran to take its rightful place in the community of nations,” he said. You have that right—but it comes with real responsibilities, and that place cannot be reached through terror or arms, but rather through peaceful actions that demonstrate the true greatness of the Iranian people and civilization. And the measure of that greatness is not the capacity to destroy, it is your demonstrated ability to build and create. In 2009, Obama asked that Americans and Iranians—he didn’t distinguish between government and people at this critical juncture of his speech—not be defined by their differences. This year, he went further, speaking of strategic interests shared by two nations that are centuries apart when it comes to basic human rights and freedoms. More foreign investment and jobs, including for young Iranians. More cultural exchanges and chances for Iranian students to travel abroad. More partnerships in areas like science and technology and innovation. In other words, a nuclear deal now can help open the door to a brighter future for you—the Iranian people, who, as heirs to a great civilization, have so much to give to the world. To Obama, it seems, the heart of the Islamic Republic is essentially benign. He said, for example, that “Ayatollah Khamenei has issued a fatwa against the development of nuclear weapons,” even though many analysts have raised serious doubts about both the wording and the significance of the fatwa. He also mentioned that “President Rouhani has said that Iran would never develop a nuclear weapon.” He appears to believe that Iran’s leaders are ultimately prudent and sensible men. There is no place in this vision for a very different picture of Iran: A state whose regime lost any semblance of legitimacy when it crushed student-led democracy protests in 2009, and treats the human beings it rules not as ends in themselves, but as a means to an end. An Iran where government and people are sharply distinct from, and more and more in opposition to each other. A few days before Obama made his Nowruz speech, Ahmed Shaheed, the UN-appointed Special Rapporteur on the situation of human rights in the Islamic Republic of Iran, issued his seventh report to the United Nations Human Rights Council. Shaheed is a diplomat, academic, and pro-democracy politician from the Maldives, a predominantly Muslim island in the Indian Ocean that, as his Twitter feed records in animated fashion, has itself experienced a severe erosion of democratic rights over the last several years. He also sits on the Board of the Universal Rights Group, a think-tank located in Geneva. 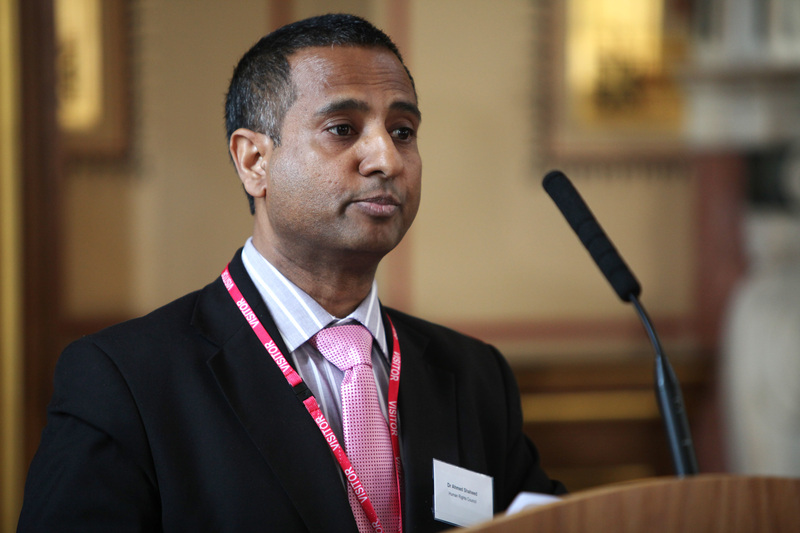 Shaheed is the first incumbent in the Special Rapporteur’s position, having been appointed in 2011 just as the Human Rights Council began an expansion of its monitoring of specific states. Over the next three years, it added further mandates to include North Korea, Syria, Mali, the Central African Republic and other countries where human rights are routinely and systemically abused—a welcome development, for once, in a body that is still disproportionately concerned with attacking Israel. Continues to allow for juvenile executions and retains the death penalty for activities that do not constitute “most serious crimes” in line with the safeguards guaranteeing protection of the rights of those facing the death penalty….They include adultery, recidivist alcohol use, drug possession and trafficking, and some crimes resulting in convictions for moharebeh (commonly translated as “enmity against God,” but translated by the Government as a crime in which “a person brandishes or points a weapon at members of the public to kill, frighten, and coerce them”) or mofsed fel-arz (“corruption on Earth”). These and similar facts demonstrate why Iran stands out even among those states whose record on human rights is unremittingly criminal. Execution of juveniles, execution for adultery, execution for blasphemy, punishment instead of treatment for alcohol and drug abusers—these are crimes against humanity that could potentially become a case for the International Criminal Court (ICC). It is also worth noting that, under Rouhani, there has been an increase in the number of executions carried out by the regime. The use of capital and other forms of cruel, inhumane and degrading punishment persist at alarming rates. This is especially alarming given the frequent application of the death penalty for crimes not considered “most serious” under international human rights law, and considering policies and practices previously identified by the United Nations human rights mechanisms that continue to challenge the administration of justice. 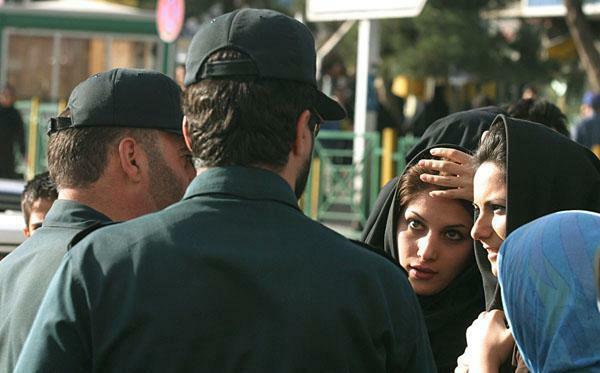 Iran’s systematic discrimination against women is another pillar of its theocratic regime. “Sitting here at the UN for the last eleven years, I hardly hear anyone talk in any meaningful way about the rights of women in Iran,” Neuer told me. Shaheed’s reporting is ideally placed to break that particular silence, at least in the corridors of the UN. 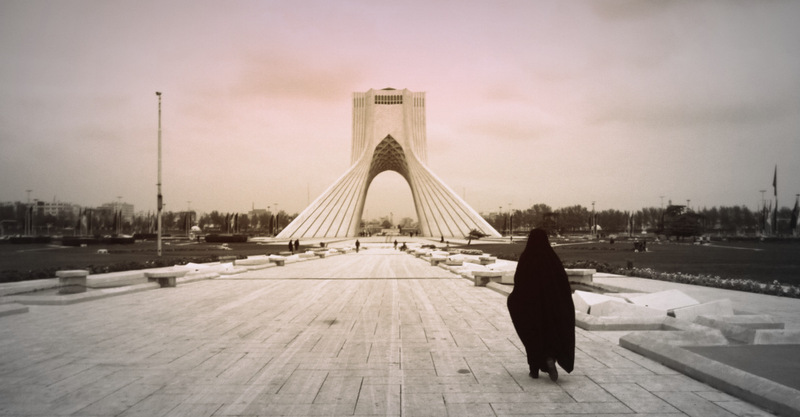 “Recent legislative attempts made by the Iranian Parliament appear to further restrict the rights of women to their full and equal enjoyment of internationally recognized rights,” he wrote. New legislation and policies are in the pipeline which would further diminish women’s’ access to the workplace. One of these bills is the Family Consolidation Bill, under which employers are required to give first preference to married men with children, followed by married men without children, and then a lot later, to women. So in this kind of gender-based hierarchy, the situation of women in the country is going to get worse. The situation is equally grim with regard to freedom of assembly, speech, and religion. Those wishing to set up a political party must first submit their request to a nine-member Party Commission that includes officials from the intelligence ministry. Shaheed’s 2015 report states, “The applicant’s statute and manifesto must also explicitly state adherence to the Constitution and the principle of the guardianship of the Islamic jurist”—the velayat-e faqih system established by Ayatollah Khomeini following the 1979 Islamist takeover. Perhaps the most disturbing aspect of the Obama administration’s outreach to Iran is the resulting impression of the regime as being, at worst, mildly authoritarian. The omission of fundamental human rights reform as a necessary measure in permitting, as Obama put it, “the Islamic Republic of Iran to take its rightful place in the community of nations,” places the onus on human rights organizations to prevent any further polishing of Iran’s image. International scrutiny is not something that is welcomed by Iran’s rulers, whether in regard to their nuclear facilities or to their woeful human rights record. With Iranian power now on the ascent from Syria to Yemen, power is firmly in the hands of the most influential, hardline elements in the regime’s complex governing structure, particularly the Iranian Revolutionary Guards Corps, which has been directing ground operations against Islamic State terrorists in Iraq and Syria. These are elements that will always regard such constructs as women’s rights and the rights of religious minorities as a suspect Western import. In February 2014, a United Nations panel of experts issued a searing report on human rights abuses in North Korea, recommending that the “Security Council…refer the situation in the Democratic People’s Republic of Korea to the International Criminal Court for action in accordance with that court’s jurisdiction.” Bitterly stung by the report, the North Koreans embarked on a round of furious diplomacy to prevent this and other recommendations from being adopted. By November, however, their efforts had been rebuffed, with the UN General Assembly committee that oversees human rights voting 111-19, with 55 abstentions, in favor of an ICC prosecution against the North Korean leadership. It seems, then, that ownership of weapons of mass destruction does not make authoritarian and totalitarian regimes improve their behavior. Nor does it make them more amenable to international incentives to do so, especially when it comes to the most important issue—their human rights records. To the contrary, as North Korea demonstrates, it makes them far less inclined to compromise, and boosts their confidence in the use of violence to suppress domestic opponents. Moreover, since Pyongyang has accused Marzuki Darusman, the UN’s independent expert on human rights violations in that country, of misusing “human right issues as a means to dismantle or overthrow the country’s system,” it is reasonable to conclude that an initiative like an ICC prosecution would be regarded by the Kim regime as precisely that “sparkle of fire” that could trigger nuclear war. All of which sets a gravely negative precedent for the cause of human rights not just in North Korea, probably the world’s most heinous offender, but in other countries too. Countries whose belligerent rulers are, quite correctly, taking strategic advantage of an international climate profoundly impacted by the current U.S. administration’s belief that a chastened approach to the rulers of the Islamic world is the best way of avoiding another mass deployment of American troops in the Middle East. First and foremost, countries like Iran.